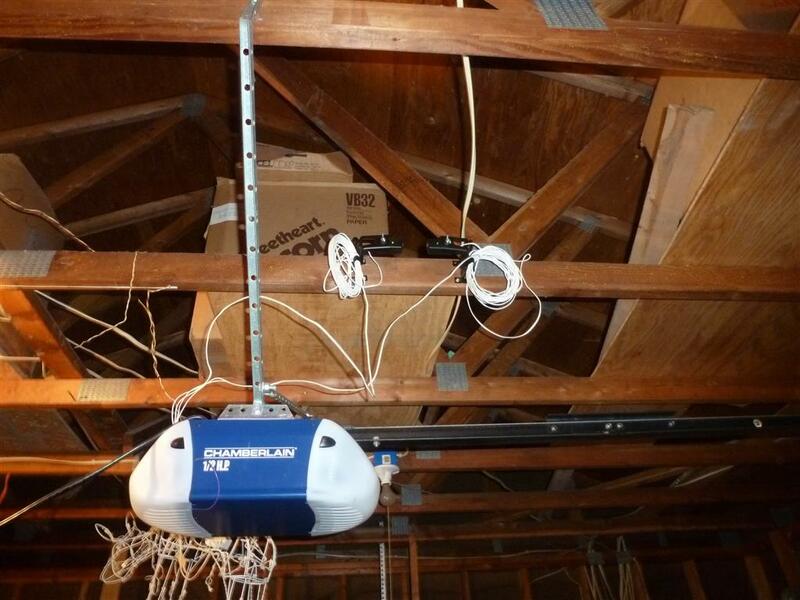 Is your garage door opener safe? 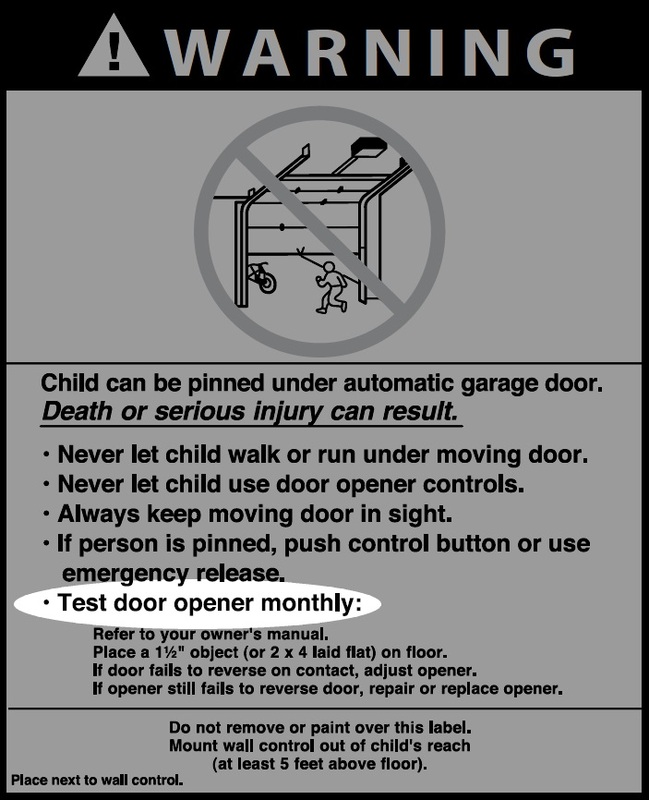 The Door & Access Systems Manufacturers Association (DASMA) has a great technical data sheet giving instructions on how to conduct a comprehensive 10-point inspection of your overhead garage door and garage door opener, which can be downloaded here: Garage Door Safety Checklist. 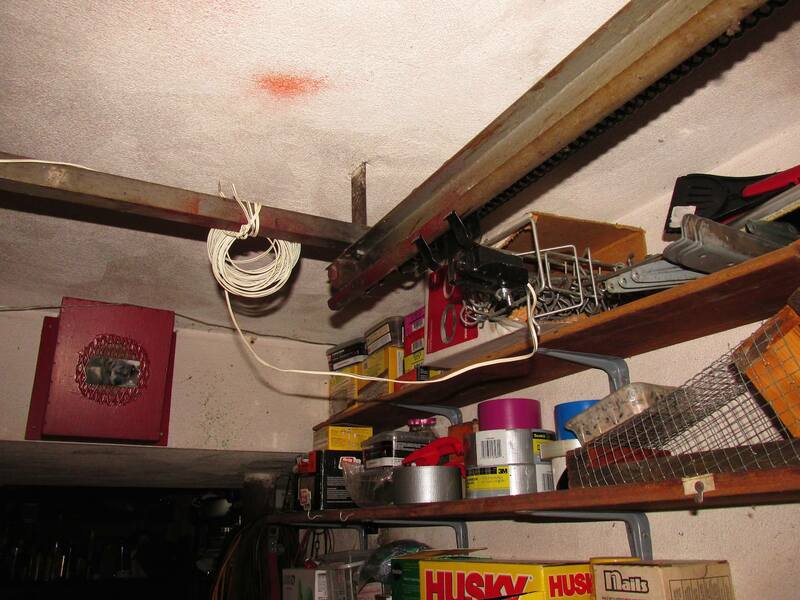 When inspecting garage doors and garage door openers, I use a modified version of that checklist. 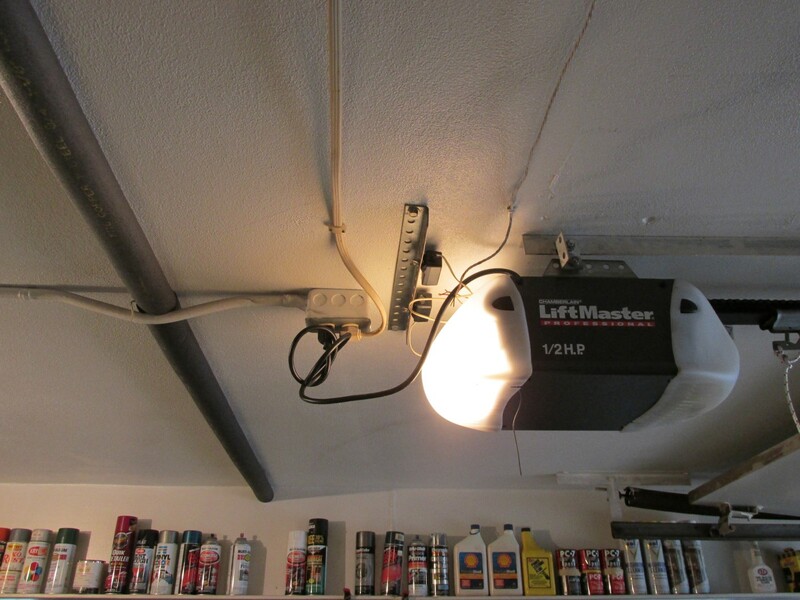 Rather than re-write this 10-point checklist, I'm going to go over the most common garage door opener issues that come up during home inspections. 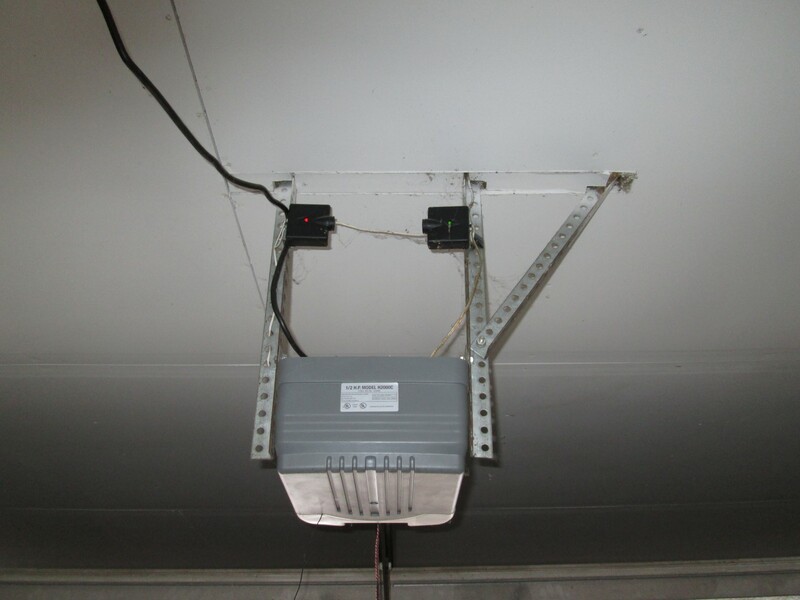 The photoelectric eyes for garage door openers need to be installed within 6" of the ground. If they're installed higher than this, there's an increased potential for a small animal or possibly a child to end up below the pathway of the photoelectric sensors. 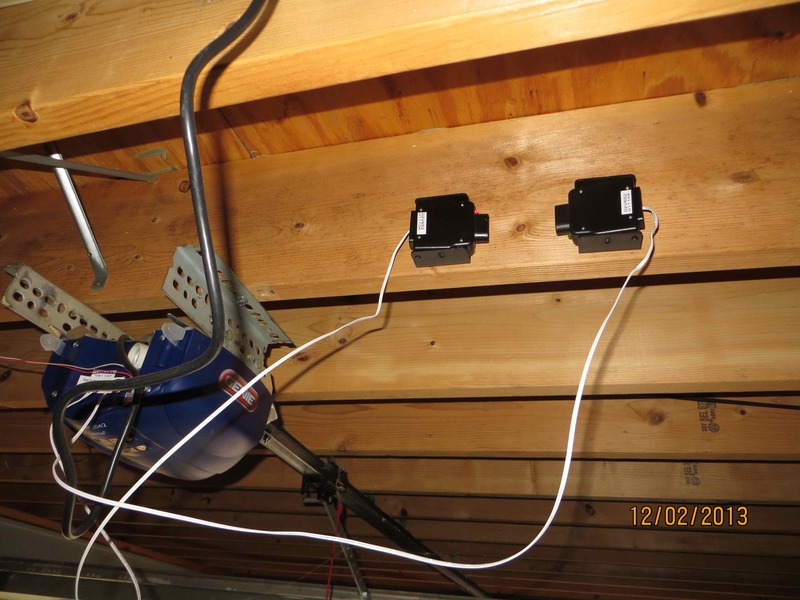 Not only that, but when these sensors are installed too high in the air, it's impossible to hit the garage door opener button, run out of the garage, and jump over the beam while the door is closing. I'm only half-kidding. 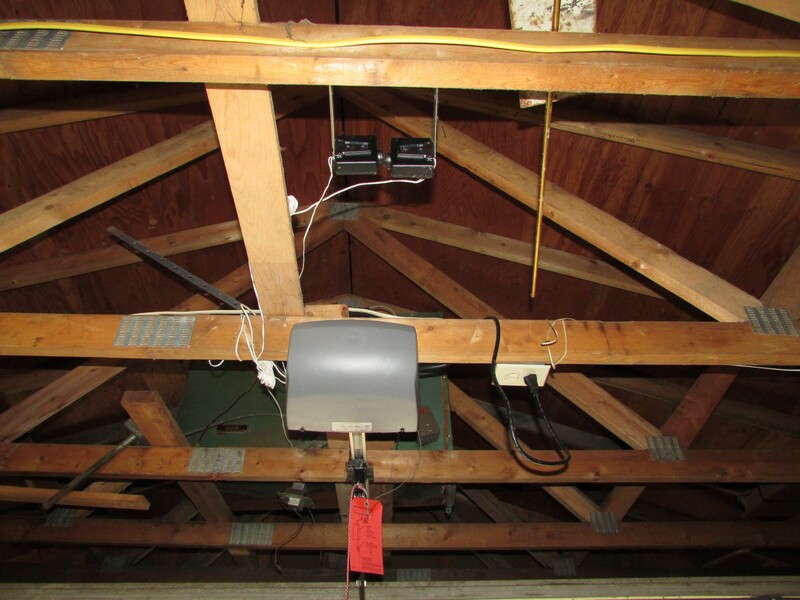 What do you think the owners did with the garage shown below? I have to assume they dove under the beam and did a barrel roll while the door closed behind them. 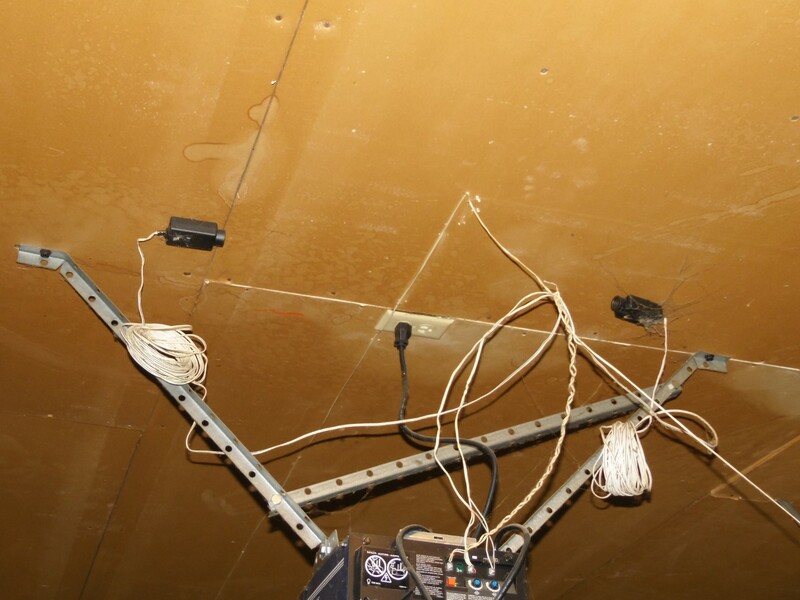 While these sensors should never be installed at the ceiling, it does happen. A lot. 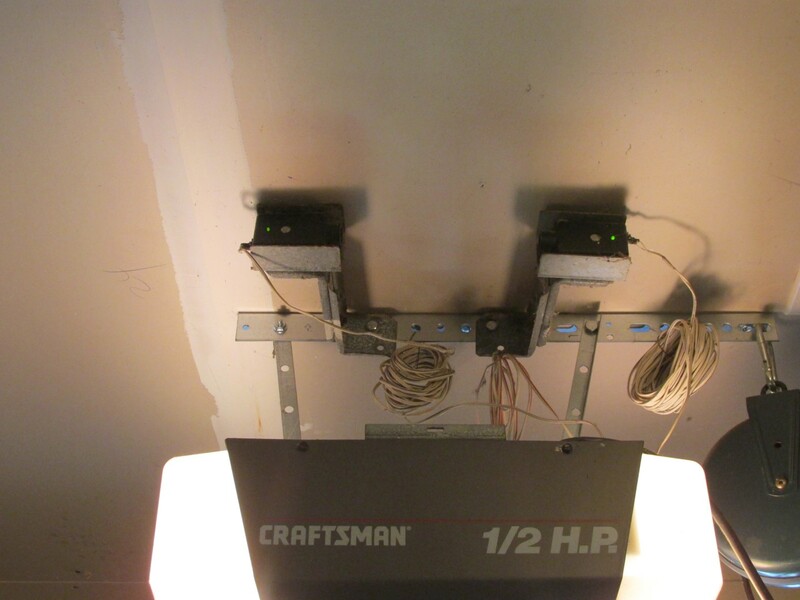 Here's a fun compilation of photos showing these sensors improperly installed, on purpose. 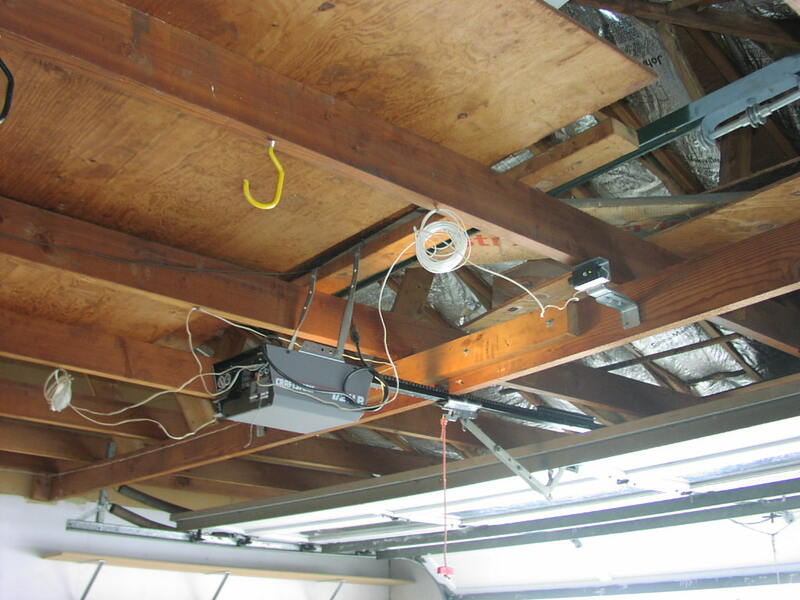 Garage door openers that are more than 25 years old typically won't have photoelectric sensors installed. These garage door openers should still auto-reverse if they hit an object that obstructs their path while closing, but the only way to know if that feature is functional is to do a live test. 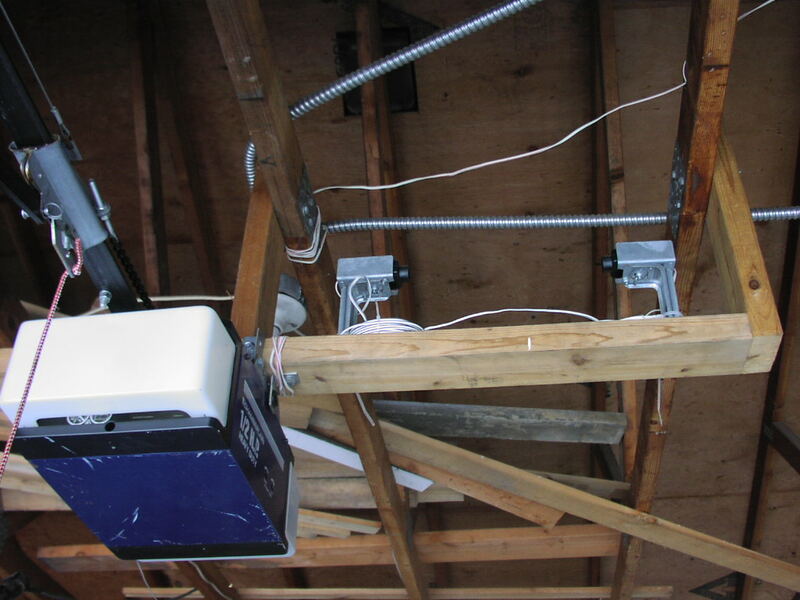 The industry standard test is to let the garage door opener close on a flat 2x4. If the opener auto-reverses when it hits the 2x4, it passes the test. If it doesn't, it fails the test and should be adjusted or replaced for safety. 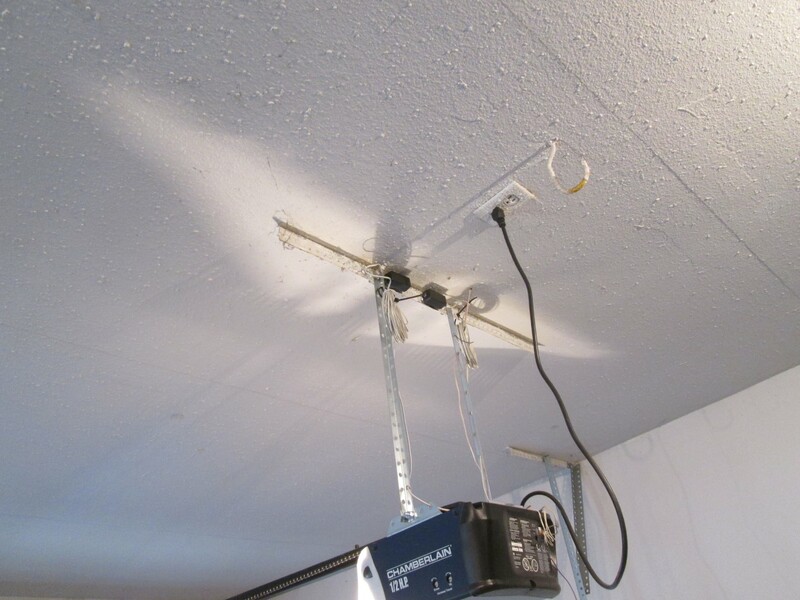 I've performed this test hundreds of times without incident, but I've heard numerous stories from other home inspectors who ended up breaking the garage door opener while doing this test. Just about a month ago, that happened to one of the inspectors in my company. 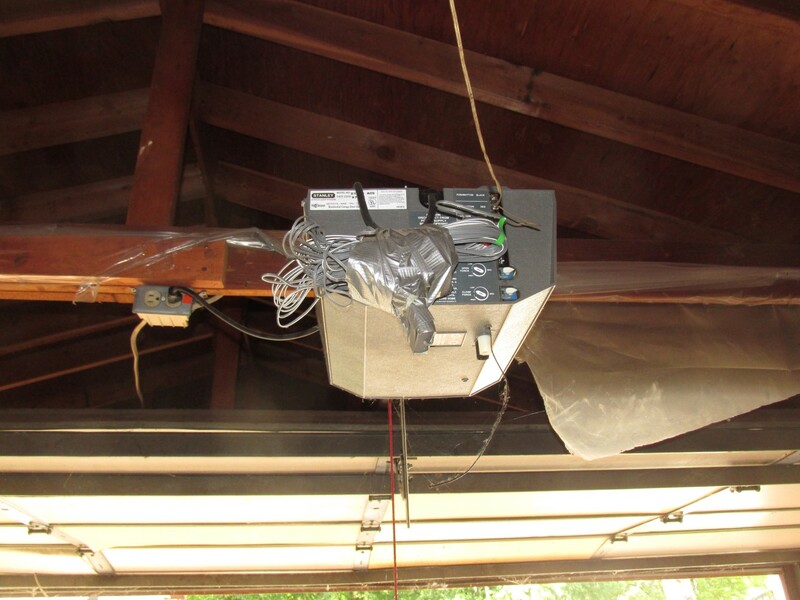 After that incident, we had a company meeting about this and agreed to stop performing this test on these old, frail garage door openers. 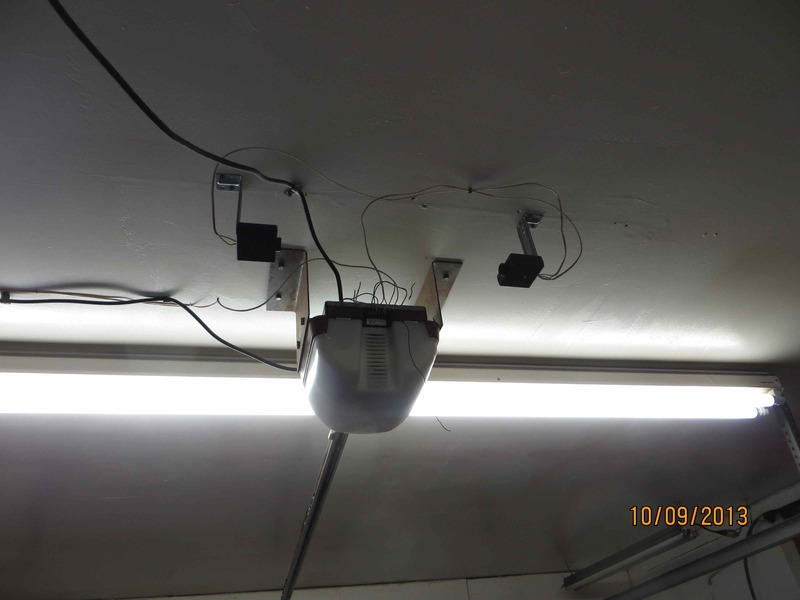 When a garage door opener is so old that it's not equipped with photoelectric sensors, we simply recommend replacement of the opener. 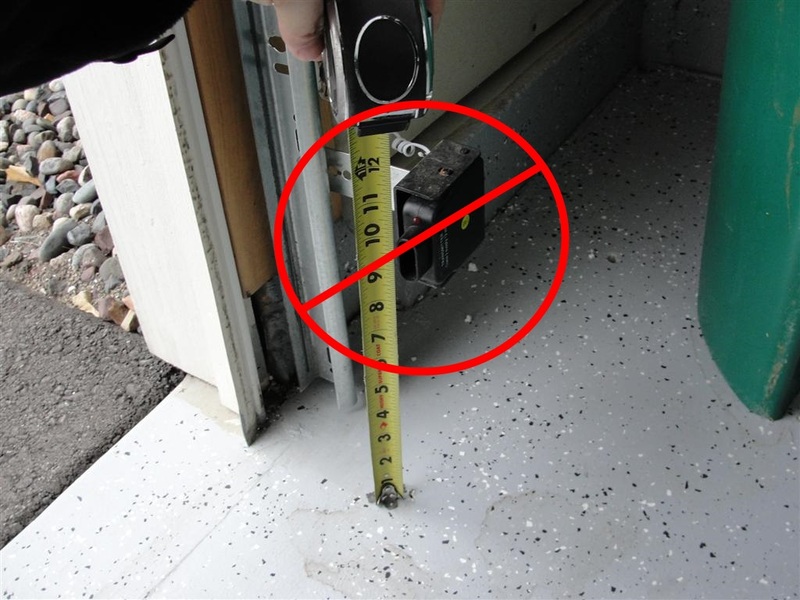 This test is actually supposed to be conducted on all garage door openers every month by homeowners, so we've started including this advice in all of our home inspection reports. 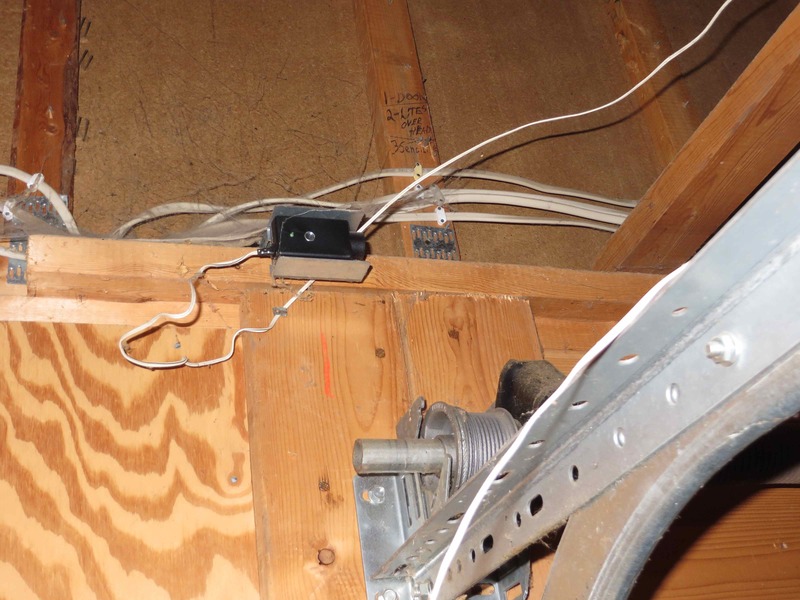 While a garage door opener plugged into an extension cord isn't the worst thing that could happen, it's unquestionably a defect. 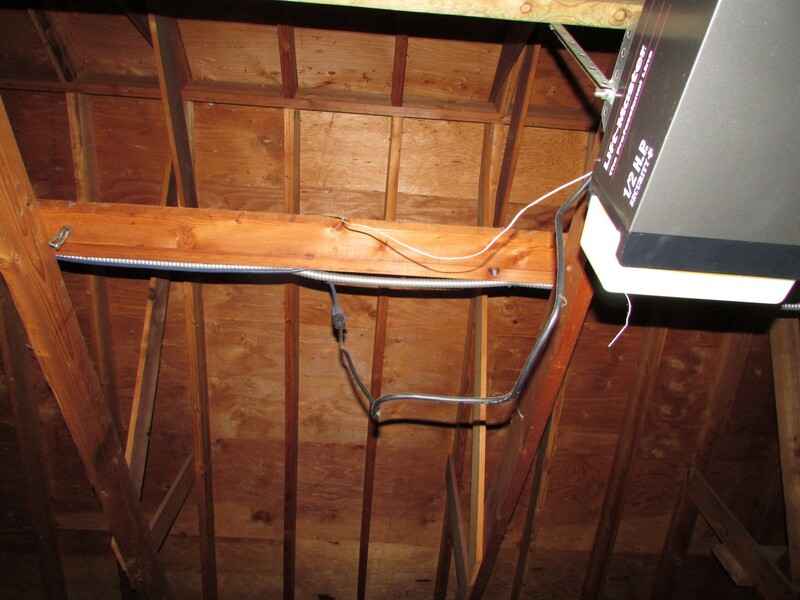 Extension cords are only supposed to be for temporary use, and every garage door opener manufacturer (that I'm aware of) prohibits this. 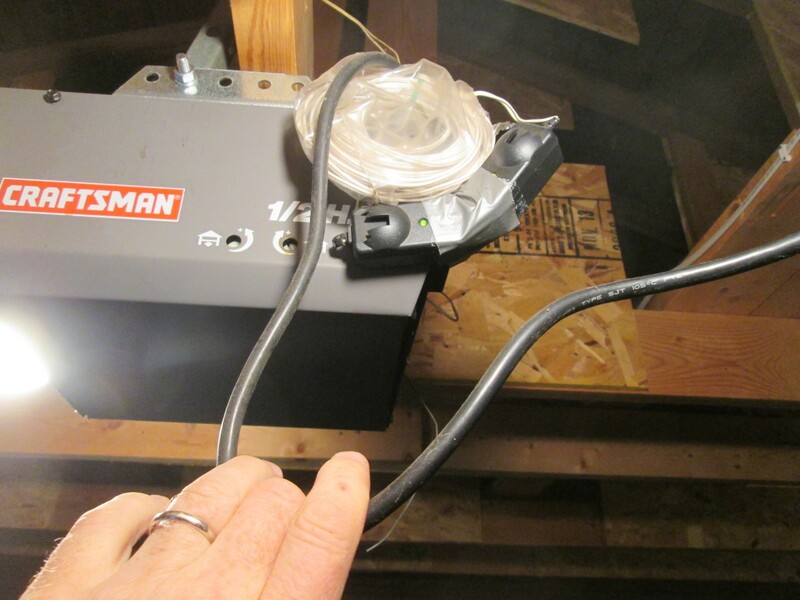 An extension cord is simply one more place for something to potentially go wrong. 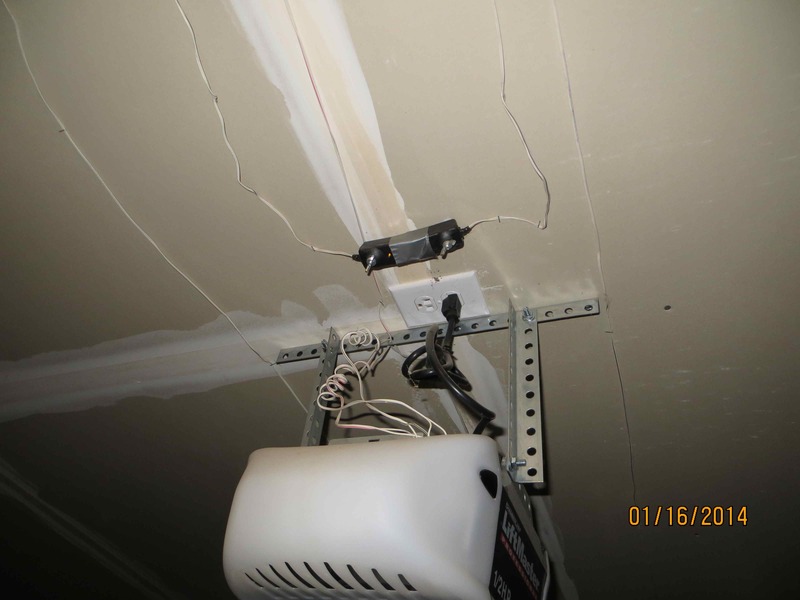 The straightforward fix for this condition is to have an outlet installed. 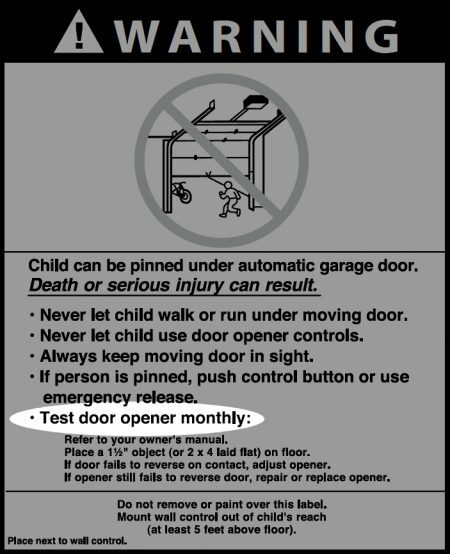 The wall button for the garage door opener should be installed at least 5' above standing surfaces to help prevent little kids from reaching the button. When measuring the distance from the standing surface to the button, logic tells me to think like a kid and measure from where a kid would go to reach the button. That means measuring from the door threshold at the house / garage common door, not the garage floor. While this is never a big deal, I'm a father of two young kids and I appreciate this requirement. 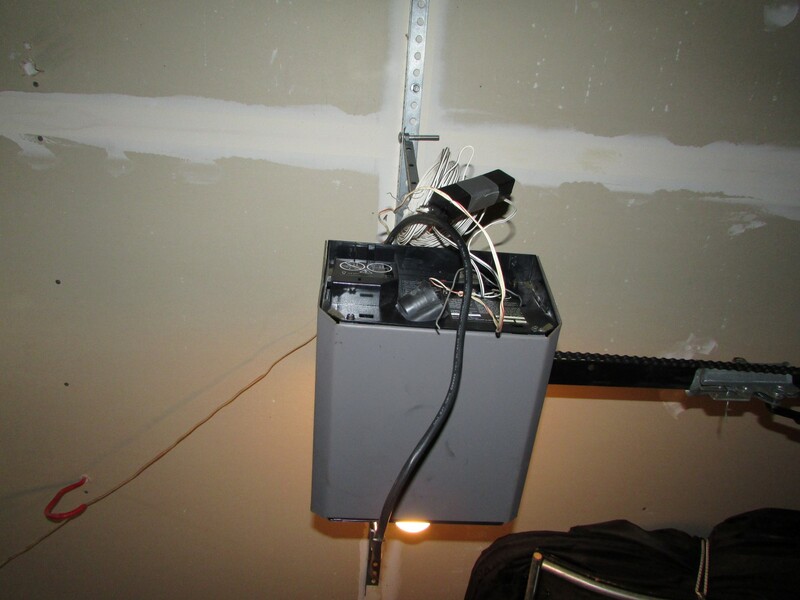 When I find garage door opener buttons mounted too low, I usually recommend moving them. 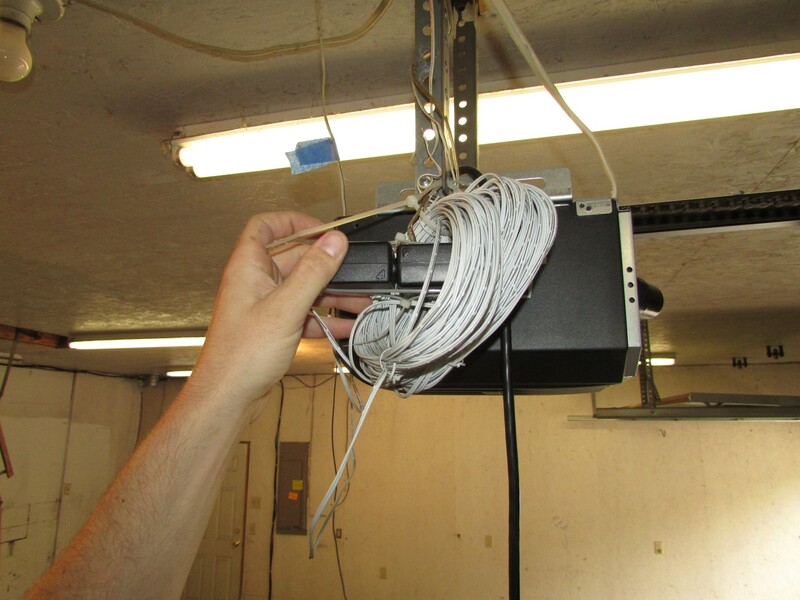 This is typically about a 30-second fix. 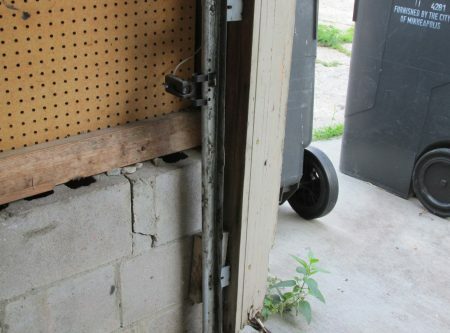 For any detached garage without a service door, it's a good idea to have an emergency disconnect installed. 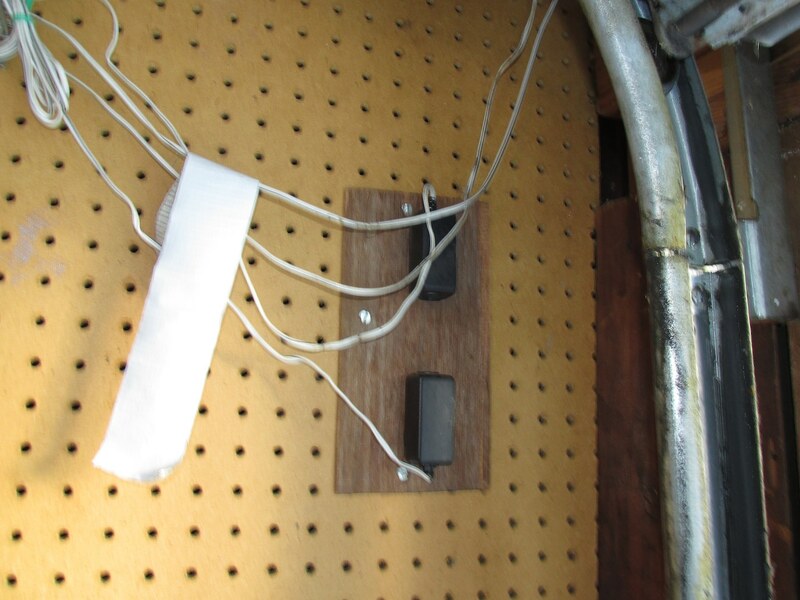 Without one of these, there is no simple way to get into the garage if the power goes out, the GFCI device trips, or the garage door opener fails. Or the dumba$$ home inspector lost the only remote control (don't ask). 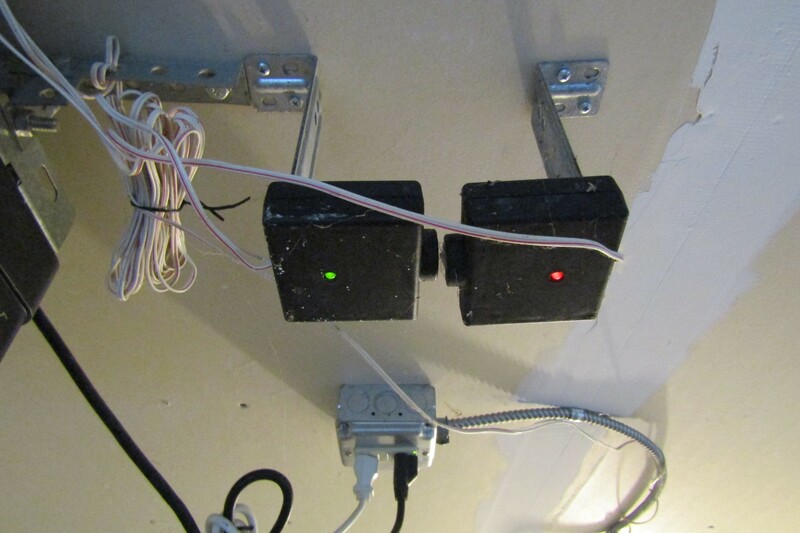 I blogged about these many years ago: Garage door opener emergency release. When it comes to home inspections and automatic garage door openers, I'd say this list makes up at least 95% of the stuff that we report on. 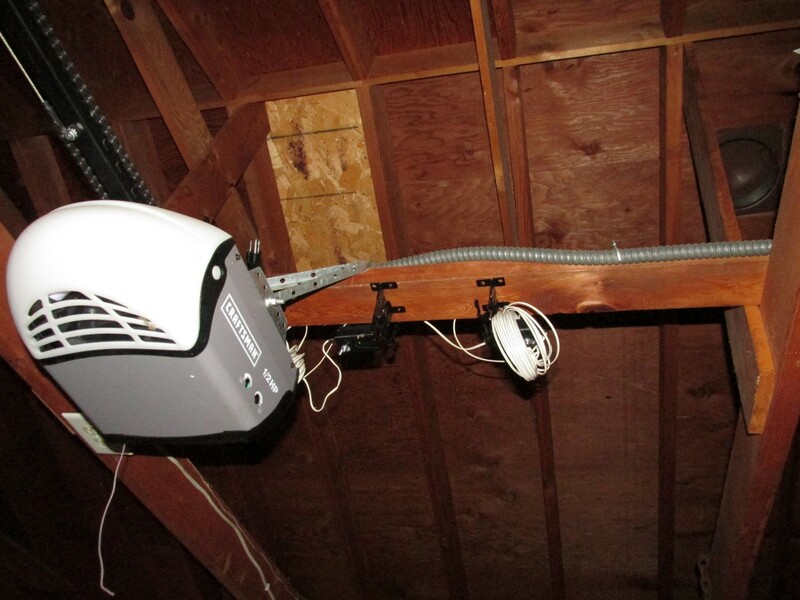 When the time comes to replace your garage door opener, check out the latest and greatest to see if you'd like something a bit fancier; Ryobi recently came out with a modular garage door opener, which you can read more about on the Family Handyman website.